Google Chrome continues to dominate the browser market, and Microsoft is pushing its new Edge browser as the best choice for Windows 10. But Mozilla’s Firefox is a veteran choice that has been battling it out for longer than either of these options. Today, Mozilla announced what it’s calling the best Firefox ever, with a particular emphasis on making the browser faster while using less memory. Whereas previous versions ran all of its tabs using a single operating system process, Firefox 54 splits the load into multiple independent processes for improved responsiveness. Mozilla is calling this project “E10s,” referring to the chemical process of electrolysis whereby water is divided into its core elements of hydrogen and oxygen. The E10s project has been ongoing and has now reached its next major phase with this release that now uses up to four processes for running web page content on all open tabs. Now, a particularly complicated page will have a reduced impact on the speed and responsiveness of other browser tabs. 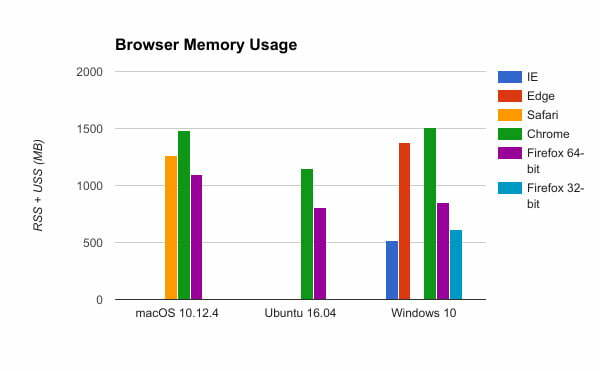 The E10s project means that Firefox makes better use of a system’s hardware to provide a significantly improved experience, including finding the best balance between memory use and performance and thus optimizing browsing on systems with less memory. According to Mozilla, Firefox now uses less memory than its competitors on Windows 10, MacOS, and Linux. On Windows 10, for example, only Microsoft’s obsolete Internet Explorer 11 uses less memory than Firefox 54 while Edge and Chrome use significantly more. Firefox 54 brings some other improvements as well, including a simplified download button and status panel. The usual security fixes are also on hand, along with a change to where the mobile version keeps its bookmarks folder. Faster browsing that uses less memory is always a good thing, and that makes Firefox 54 a good choice as an alternative to Edge or Chrome. If you’ve been thinking about giving another browser a try, you can download the newest version of Firefox here.